What Is the Horizon Line in Drawing and Art? A horizon line is essential in art because it allows you to control the height of a viewer's eye as they look at the picture. Used in most often in outdoor landscapes, horizon lines control perspective and give you a reference point to control the subjects in your drawings, paintings, and other forms of art. The horizon line is not relegated to outdoor scenes, either. For interior subjects, the term 'eye-level' is typically used and it serves the same purpose of giving the artist control of where a viewer focuses. The horizon line in a perspective drawing is a horizontal line drawn across the picture. It can be a temporary pencil line or morph into a permanent line where sky and land meet. It is always at eye level - its placement determines where we seem to be looking from, whether that is from a high place or from close to the ground. The actual horizon might not be visible, but you need to draw a 'virtual' horizon to construct a picture with the proper perspective. 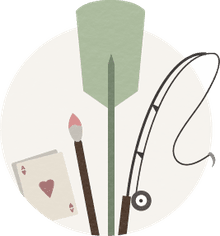 Almost every piece of art - painting, drawing, photograph, etc. - has a horizon line and it serves a few very important functions. 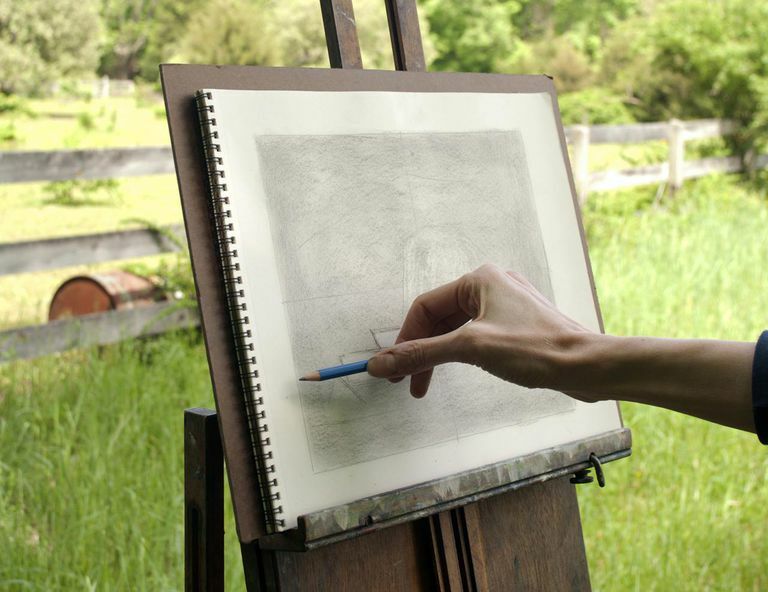 Allows the artist to accurately represent proportions of their subject to create a more realistic scene. Makes it easier to maintain correct perspectives of every object in a scene so the viewer's eyes are not distracted by an element that seems 'off' or out of place. Establishes reference points and allows you to draw the viewer's attention to specific focal points within the scene. Gives the viewer a sense of where they may be positioned in relation to the scene. For instance, above, below, or even with the subject. To give you a better sense of horizon lines in art, let's look at two very common examples. If you're standing on the open prairie, it is easy to recognize the horizon. It is, quite simply, where the sky and the land meet. Yet, if you crouch down, that horizon line gets higher. If you were to climb a ladder, that horizon line moves down in the scene. The horizon line is all about changing perspective and you do this in a virtual sense when drawing to add interest. People are used to viewing the world from a standing position, so a work drawn with a lower or higher horizon line can give them a different view. Consider this whenever you begin a piece of art and place your horizon line: what will be the most intriguing point of view for your subject. Horizon lines are always straight across the horizontal span of a scene and not the jagged rocks of our mountain example. Your horizon line, in this case, is likely going to be that part of the scene where the base of the mountain meets the foreground. This could be the lake in front of the mountain or the flat, grassy field your standing in while drawing. When we move inside, we speak of eye-level rather than horizon lines and a still life drawing is a perfect example. Visualize the typical still life painting of a flower arrangement on a table. As the artist, you might view it straight on as if seated at the table and paint it as such. Then again, you might wish to change the perspective and view the vase from a lower angle as if your eyes are level with the table itself. What happens to the flowers? They will seem larger and more important than from the previous eye level. This is because the perspective also changes the scale of the objects in relation to each other so the table leads to the vase which leads to the beautiful flowers. If we then move to a higher perspective and view that same vase from the eye-level we would see when standing over the table, the perception changes once again. Quite often, the flowers seem more delicate and less powerful than they did from the lower eye-level. This is because we perceive ourselves as larger and more dominant over the subject. The effects of eye-level in still life art are quite fascinating and it's a tool that artists can use to change the perceptions as well as the perspective of their subjects. Try it for yourself with something as simple as your coffee mug, moving it up and down in front of your eyes. How does your perception of this object change? It's a good habit for every artist to practice playing with the horizon and eye-level of every drawing before you begin. Do You Need Some Landscape Drawing Ideas?